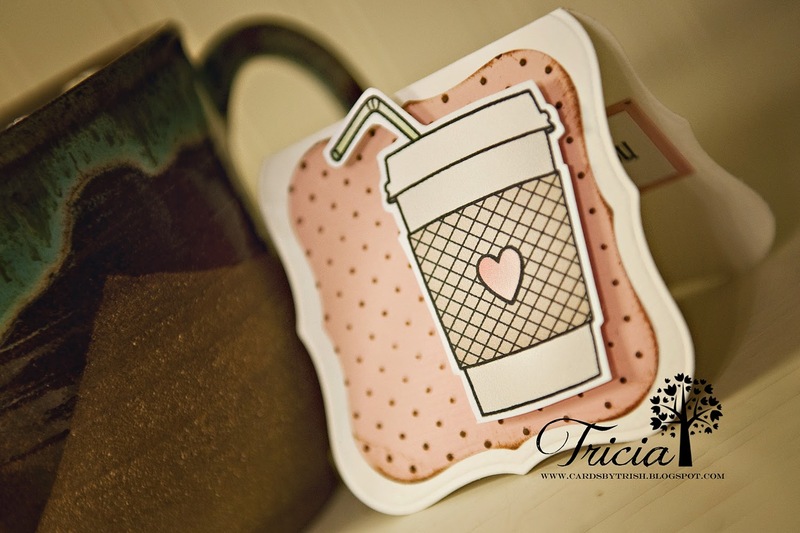 CARDS BY TRISH: Espresso-ly for you! Coffee....God's greatest invention for momma's. I have several other coffee lovin' friends that this will be perfect to send with a gift card. This set comes with digi papers, three different coffee cup designs and some coffee related texts. The inside of my card reads "Espresso-ly for you"
I went Cuttlebug happy with this card - I cut out the card and pink cardstock with a label die and then embossed the pink with a sleeve. I then distressed the cardstock with brown ink. Super easy. The coffee cup has been attached using 3D stickers. Don't forget to link up your card creation over at Sister Act Card Challenge!! Deedee is offering a awesome prize!